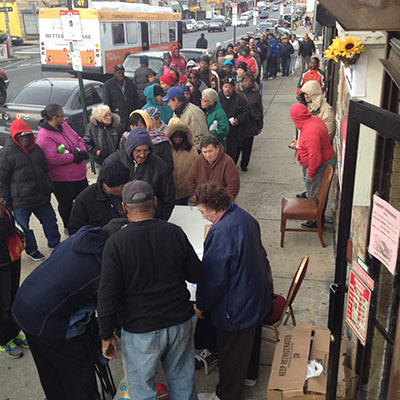 PHILADELPHIA, PA – November 25th (PA) – Before the race – The Forma Kids Foundation, MC Hammer, and The Rollins Family Foundation are providing 1000 families in the Oakland and surrounding areas with turkeys. In addition The Rollins Family Foundation has donated funds to The Share Food Program in Philadelphia, PA to provide 100 families in the Philadelphia and surrounding areas with turkeys for the Thanksgiving holiday. WALNUT CREEK, CA – November 27, 2014 – Continuing the standard of providing families in need access to fresh food, The Rollins Family Foundation announces their partnership with the Walnut Creek, CA Forma Gym Turkey Trot. Pop sensation MC Hammer joins Walnut Creek Mayor Kristina Lawson, and Dublin Mayor Tim Sbranti to announce and pump up the runners of the Forma Gym Turkey Trot on Thanksgiving Day. More than 8,000 runners are expected to race. Jimmy and Johari Rollins and The Rollins Family Foundation hope to raise awareness and support in Jimmy’s Oakland hometown for families in need by partnering with Walnut Creek Education Foundation, P.E.A.K. Wellness City Challenge, the Contra Costa Food Bank, and the Forma Kids Foundation. WALNUT CREEK — This Thanksgiving in downtown Walnut Creek it’s Hammer Time. Bay Area pop icon MC Hammer will join Walnut Creek Mayor Kristina Lawson and Dublin Mayor Tim Sbranti to rev up the runners for the Forma Gym Turkey Trot on Thanksgiving Day. The trio will officially start the race, which is expected to draw 8,000 people. Hammer, The Jimmy Rollins Family Foundation and Walnut Creek’s Forma Gym have partnered for the 22nd annual Turkey Trot, which begins at 8 a.m. Thursday in Civic Park, 1375 Civic Drive. There are 5K and 10K runs, as well as a kids’ fun run, all with the goal of raising money for local groups. Philadelphia Phillies All-Star shortstop Jimmy Rollins and his wife Johari are bringing their Rollins Family Foundation to the race to raise awareness and support for Oakland families in need. They are partnering with Walnut Creek Education Foundation, P.E.A.K., Wellness City Challenge, the Contra Costa Food Bank and the Forma Kids Foundation, which all benefit from the trot. Before the race, the Forma Kids Foundation, Hammer and the Rollins Family Foundation provided 1,000 families in Oakland and surrounding areas with turkeys. In addition, the Rollins foundation has donated money to The Share Food Program in Philadelphia to provide 100 families in Philadelphia and surrounding areas with turkeys for Thanksgiving. Hammer appeared at the Tuesday event and handed out hundreds of turkeys.